Stephane Muller, Ed.D is the UCI Division of Continuing Education Director of the Business Programs Department for the last 3 years, serving as the academic appointee in charge of developing certificate programs. 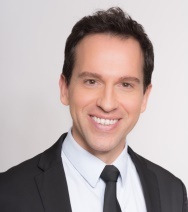 Stephane began his career at the University of California in 2008 as a French instructor and became the program director at UCLA Extension in 2012. Having worked in higher education for the last 17 years in 8 countries around the world, before settling down in California, he possesses an inherent sense of diversity and multiculturalism.